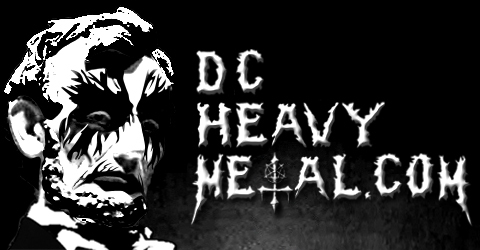 Another week in April means another ticket give away on DCHM! 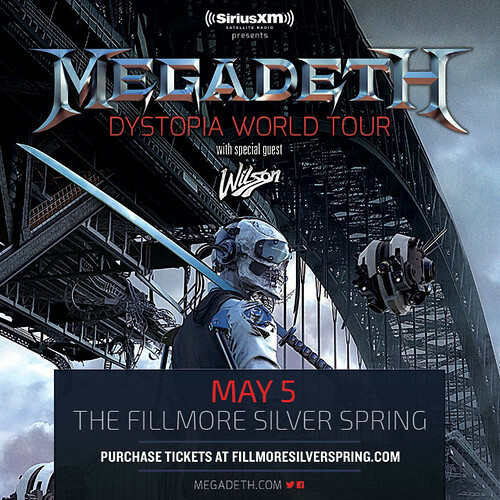 This week we’re giving away tickets to see the one and only Megadeth at the Fillmore Silver Spring on Thursday, May 5th! It’s going to be a Cinco De Mayo party like no other so we are giving away a free pair of tickets to one of you lucky DCHM readers to this very show. To enter just leave a comment on this post telling me your favorite Megadeth song. The contest will close this Friday, April 29th, 2016 and I’ll pick a winner at random (using Random.org) from all valid entries to win the tickets. Be sure to use a valid email you check regularly so I can contact you if you win. Don’t worry, I won’t add you to any spam lists or sell your info or anything sleazy like that. If I haven’t heard back from the winner in 24 hours another winner will be chosen at random. If you can’t wait to see if you win or the contest is already over when you read this, then you can get tickets from Live Nation for $45 here. Megadeth needs no introduction, the legendary band has been led by Dave Mustaine since his departure from Metallica in the early 80’s and they’ve been cranking out thrash metal with legendary hooks and crazy solos ever since. The band has just released their 15th studio album, titled Dystopia, and this will be the first time they play any of those new songs in our area. Additionally, this show will be Megadeth’s first show in our area with Lamb Of God drummer Chris Adler behind the kit. The opener for this show is the up and coming Wilson, a hard rock band from Detroit. Be sure to check out these videos below and leave a comment telling me what your favorite Megadeth song is!